She's shed a whopping two stone following her strenuous stint on ITV competition series Dancing On Ice. 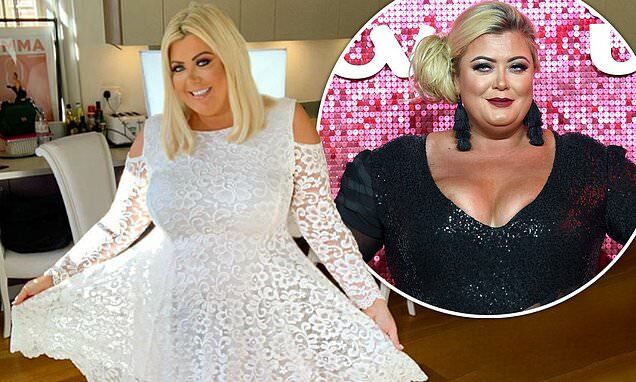 And Gemma Collins has now revealed she's selling her old size 24 clothes for just £10 following her impressive weight loss on social shopping app Depop. Taking to Twitter on Thursday, the TOWIE star, 38, promoted a wide selection of her items on the platform, featuring a ruched red dress, a V-neck sweater and a pink cardigan. The TV personality, who boasts 27,000 followers on Depop, has sold over 3,000 clothing pieces since signing up to the peer-to-peer app. Earlier this year, Gemma's grueling training regimen saw her drop two stone during her appearance on the reality skating show.